Last week I fished with a Spod for the first time, and it was great fun if a bit knackering. Today I was up for more of the same, but Spods are out, Spombs are in! 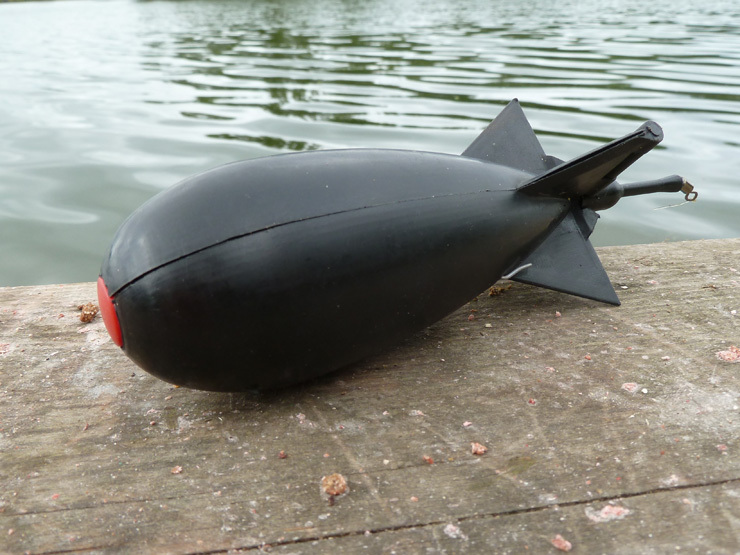 Spombs are great, the red button opens the entire bomb the moment it hits the water and once clipped up delivers your bait exactly where you want it, every time, with a minimum of effort - I'm getting one. It wasn't long before I was in - but this was no bream, a cracking fight on fairly light gear and the freakiest carp in the reservoir was landed, 9lb 2oz. I was still delighted! 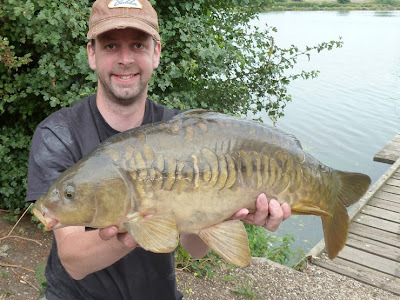 About an hour later, and after scaling up the line strength I was in again, probably the prettiest carp in the reservoir, another 9lber - were the bream going to show? 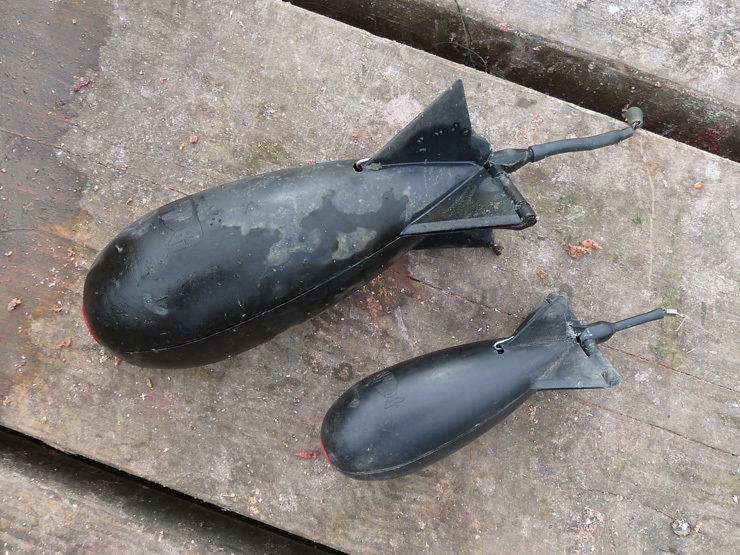 His only bit of luck occurred after a carp shed the hook in a weed bed and when Darren freed his gear he found he'd caught another Spomb - the daddy of Spombs! We will be back for another crack at those bream, we'll get you next time! 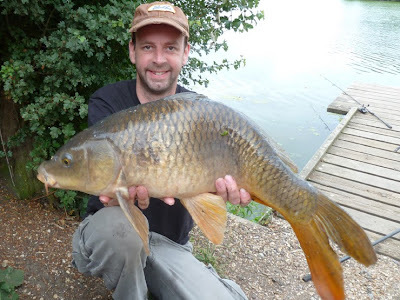 And to have another go at those carp. 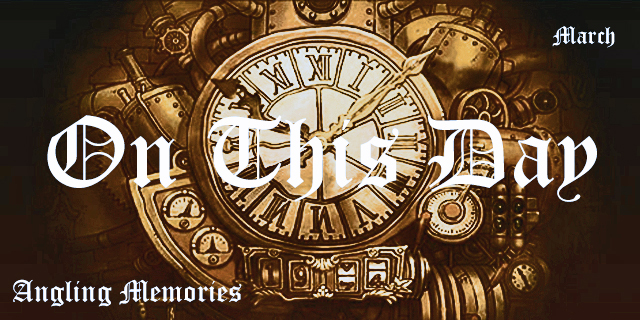 Edit: We decided to call it quits at 8pm. After a very busy week at work I headed home to watch some crap TV and get some sleep. Darren decided to jump on a train and head to another lake for some night fishing..!! And he's just phoned to say his had a 19lb mirror - nice one! Nice fish!! 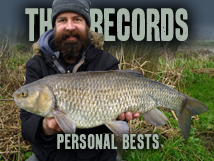 That first carp looks like he'd be amazing at swimming around corners!!!! I'm going to name him Boomer! Those are some awesome, awesome looking carp. Good job sir!